Otjimbondona, meaning “the place where the small camel thorn trees grow” in the Herero language, was bought by the Slaney family in 1922 to farm with sheep and cattle. 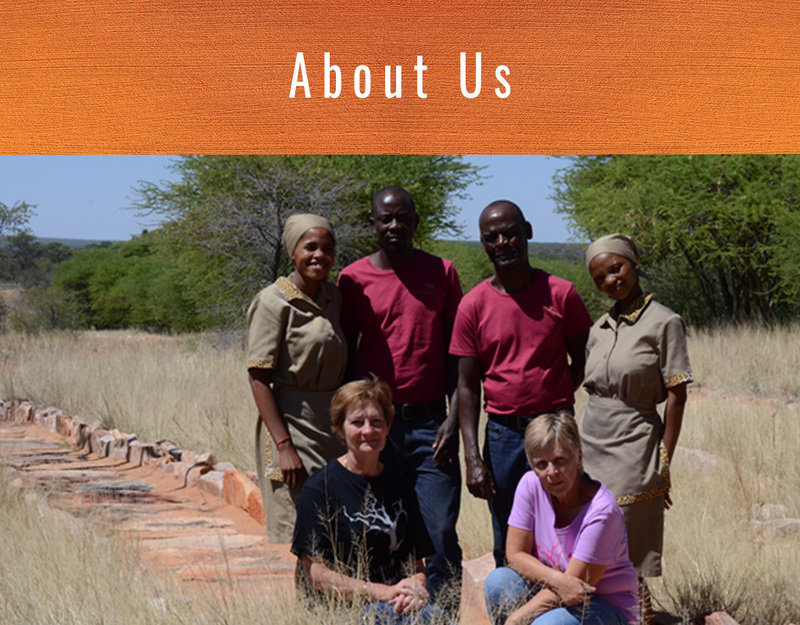 Wilfried and Anita, took over the farm in 2008 as the third generation of cattle and sheep farming Slaneys and are welcoming guests to their boutique lodge, Otjimbondona Kalahari. 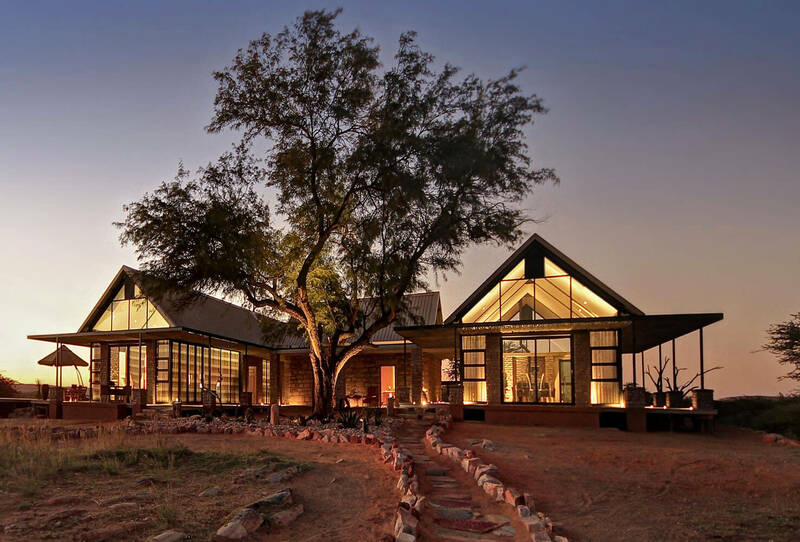 Cradled amongst Camel thorn trees with vistas of undulating Kalahari landscape crusted in golden grass, Otjimbondona offers those seeking tranquillity, exclusivity and luxury the ideal African retreat. 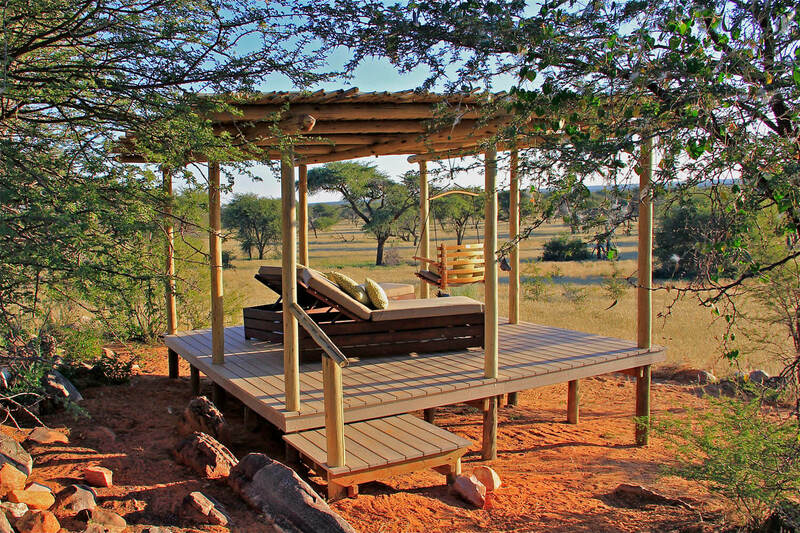 Otjimbondona is situated 120 km south east of Windhoek, and 80 km from the Hosea Kutako International Airport, on a 3000 hectare Private Nature Reserve on the fringes of the Namibian Kalahari. 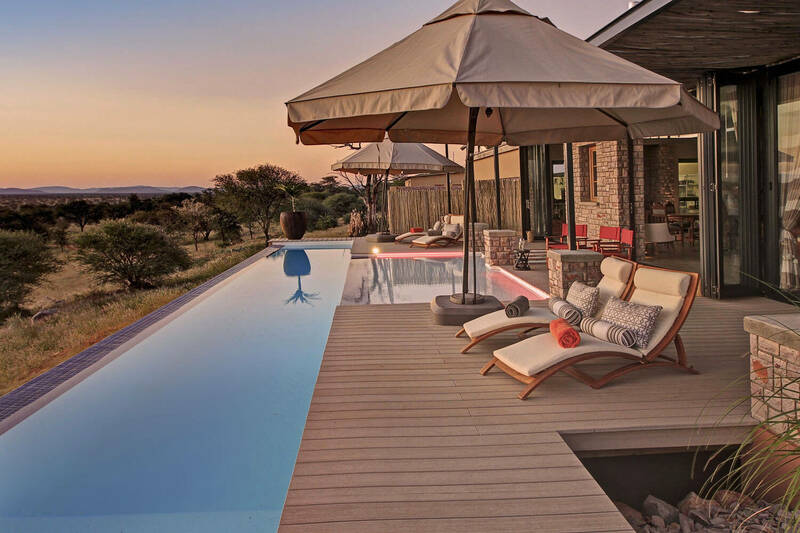 This hidden gem with its inviting Manor House and four comfortable Villas is the perfect place to start or end your Namibian adventure, or it provides a haven for those who simply wish to relax and unwind. Vielen Dank für die besondere Gastfreundschaft, einen unvergesslichen Jahreswechsel, ein tolles Ambiente und aufregende Gespräche. Es war ein fantastischer Platz um unseren Namibia Urlaub ausklingen zu lassen! Euch viel Erfolg mit eurer tollen Lodge...wir werden wieder kommen! Wonderful stay (even if too short), the place is amazingly beautiful. 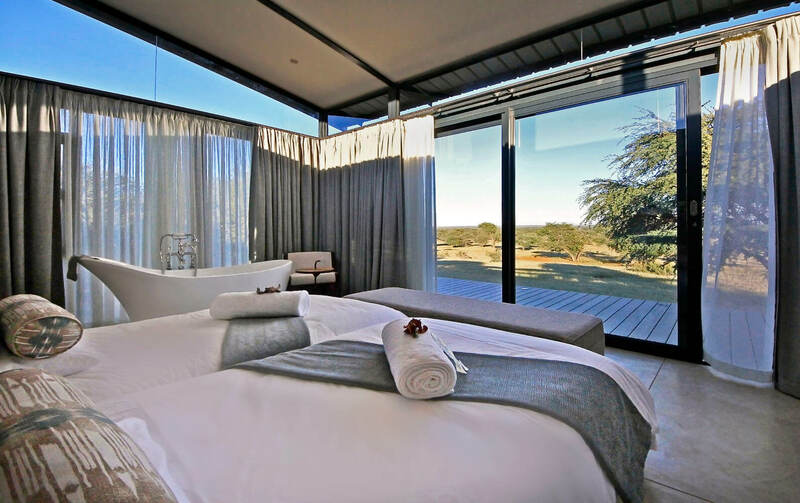 The rooms, 4x4 safari game drive, all very nice. We would have loved to stay longer, next time when we come back to Namibia! 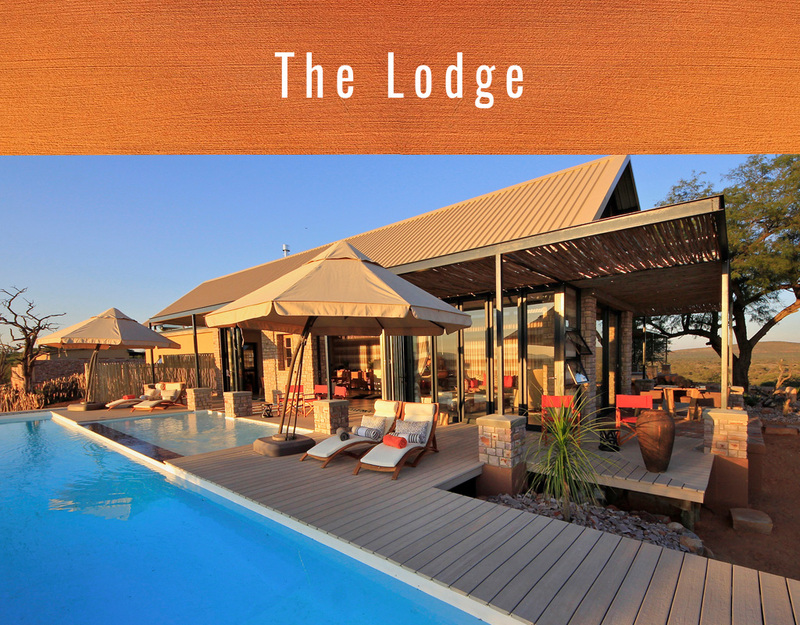 The stay at Otjimbondona was beyond our expectations - from flying with Wilfried to the amazingly beautiful lodge, the exciting scenery and above all your hospitality and kindness. 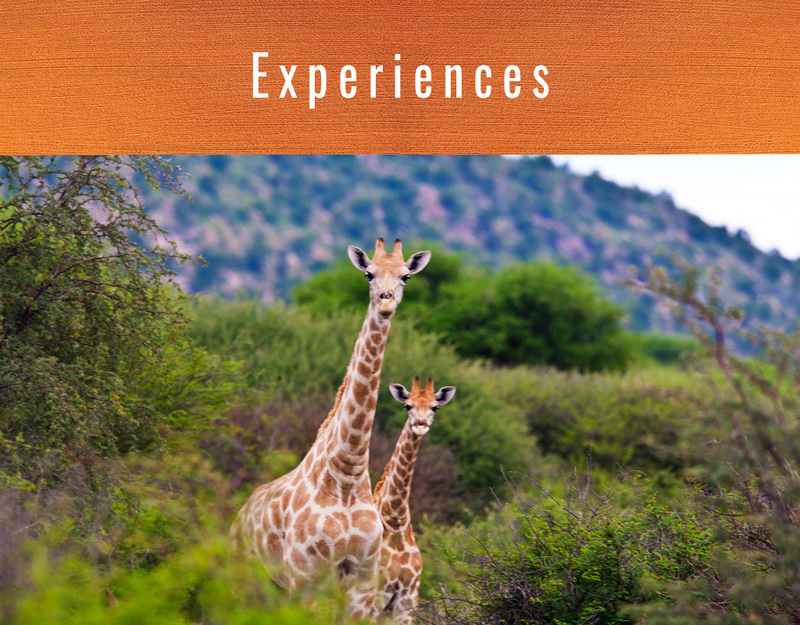 Great food, great company and beautiful game drives with the sunset picnic. These moments will be engraved in our hearts. We'll be your ambassadors in Israel. 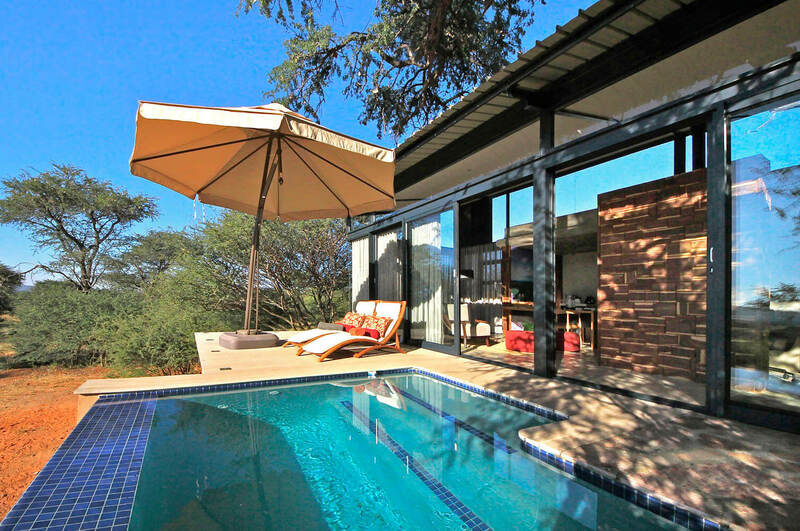 Vielen Dank für einen wundervollen Abschluss unserer Namibia Reise. Die Fledermäuse in der Höhle waren spannend und es gab unglaublich viele interessante Ameisen, in der Regenzeit bestimmt noch viel mehr. Eure liebe Gesellschaft werden wir auch nicht vergessen. Amenities: Free Wi-Fi. Free breakfast. Kid-friendly. Restaurant. Airport shuttle. Fitness Center. Amenities: .